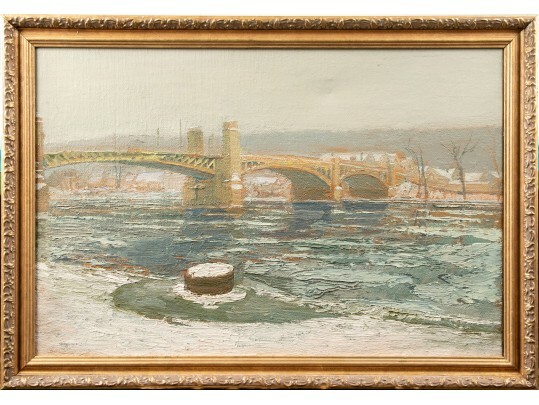 Oil on canvas depicting a green bridge in a winter landscape with icy/snowy banks, indistinct structures in the background against a grey sky. Presented in a carved gilt frame. Sight: 21" x 13 3/4"
Frame: 23 3/4" x 16 1/2"
Condition: one minute dimple upper center, overall good condition.